Posted on 30 August, 2017 at 7:35 am. Many of the carers we support look after partners or family members who have dementia. Dementia can be physically and mentally debilitating, and people with dementia may need help with basic everyday tasks. Two of the charities we work with to support dementia carers are Essex Dementia Care and Dementia Friendly Keighley. We spoke to some of the staff and volunteers there to find out more about caring. Essex Dementia Care believes that life doesn’t stop with dementia. 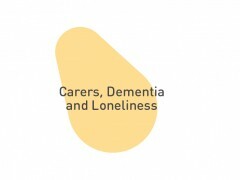 They welcome all to their centres in Braintree, Broomfield and Chelmsford, providing specialist support, connection and fun to those with dementia and their carers. Sometimes carers leave their loved ones at the Centres for a few hours while they run errands, but many stay to join in with activities and get to know other carers. The volunteers at Essex Dementia Care have often been carers themselves, and can offer practical advice, empathy and companionship to others beginning the journey of dementia and finding themselves in an often-bewildering situation. Dementia Friendly Keighley (DFK) provide support and activities to people with dementia and their carers. DFK recently opened an office in Keighley’s shopping centre to provide information and advice about dementia. They plan to turn this into a drop-in centre where people with dementia can spend an hour or two while their carers attend appointments, go to the shops or have coffee with a friend. One of DFK’s volunteers is 83-year-old Barbara, who was a carer for many years before her husband moved into a care home. She found being a carer very lonely and isolating. Barbara said that, as a carer, “no-one speaks to you.” She might sometimes go days at a time without seeing her neighbours, and relied on her laptop to stay in touch with friends and family. Barbara wanted to do something to help other carers. The drop in centre will allow them to come together, have a cup of tea and share information. They can also leave their loved ones, knowing they will be well looked after while they go to the optician, dentist or do some shopping. 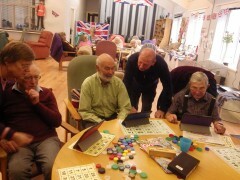 Barbara plans to run interest groups at the centre, and will use the smart TV, DVD player and two tablet computers given by WaveLength to bring dementia sufferers and carers together.